Transporting bicycles on the Gulf of Fonseca. El Salvador is another country cyclists seem to skip. And, like Latin America’s other ignored, avoided, forgotten, or otherwise bypassed countries (namely, Colombia, Paraguay, Venezuela, and Brazil), bike touring through El Salvador feels like an adventure. 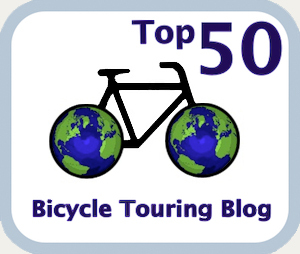 You’ll rarely, if ever, meet other bike travellers here. Nothing is really set up for foreigners in El Salvador, so you’ll be often asking around to find answers to questions of food, accommodation, and good cycling routes. Fortunately, however, Salvadoreños are approachable and helpful, perhaps surprisingly so given how recently their country was rocked by civil war, deadly earthquakes, and the continuing effects of repatriated gangs from US prisons. Crossing into El Salvador from Honduras is straightforward. Just don’t forget to pay the Honduran exit fee because you may be re-entering Honduras whether you plan to or not and you’ll find out the hard way (as I did) that Honduran customs takes its exit fee seriously. (Read more here). If El Salvador is the most densely populated and most deforested country in Latin America, it sure hides it well. 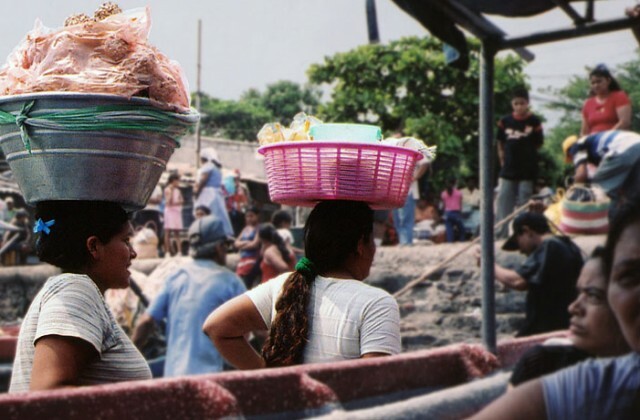 The first thing most guidebooks mention about El Salvador is its high population density (the highest in all Latin America). 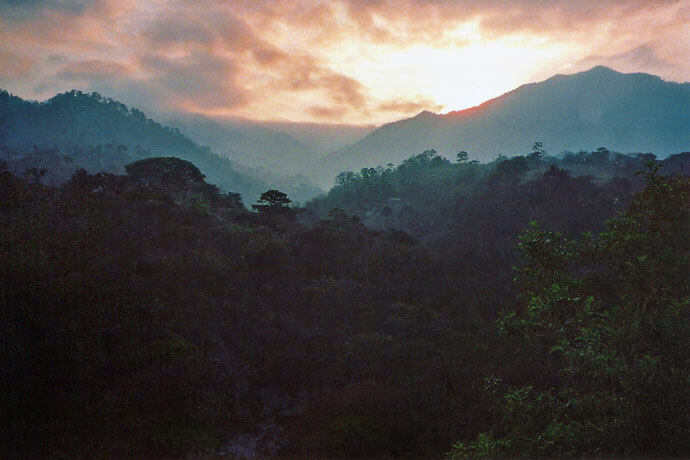 The second thing is usually that it is the most deforested country in Latin America. These statistics may be true, but riding along El Salvador’s rural roads feels both uncrowded and very green. Your tour through El Salvador will mostly take you inland through the rolling farm country found wedged between its twenty five volcanoes. A completely coastal route is not possible because El Salvador doesn’t have a connected littoral road, although several roads loop down to the coast at different points and are worth checking out. Street corners in La Palma. If you enter El Salvador from Honduras at El Poy, you’ll climb up to one of my favourite spots in Central America; the artist village of La Palma. 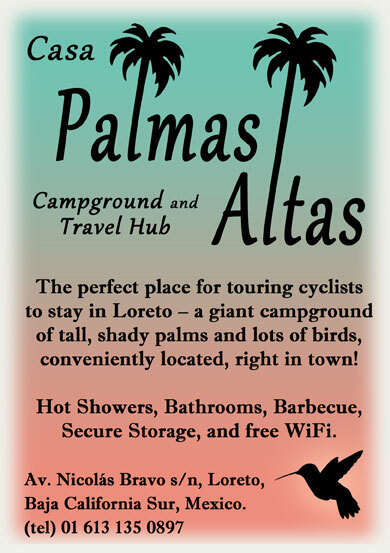 At 1,100 metres, La Palma is the perfect place to enjoy a break from the heat in pine-covered mountains and get your bearings before descending into the country. And what a descent it is! It starts with several fast descents interrupted by short climbs ending at a panoramic viewpoint so expansive that I felt like I could see all of El Salvador from this one spot. 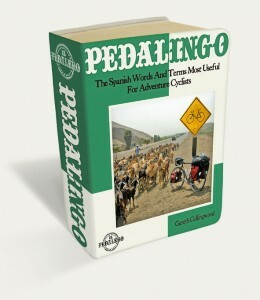 Then the final, and biggest, descent begins and doesn’t let up until Tejutla, some twenty kilometres south. The pupusa is El Salvador’s version of the tortilla. Stuffed with any combination of cheese, egg, pork, sausage, or other meat, they make for good, quick cycling fuel and there always seems to be a pupusería close by for fuelling up. You’ll often hear El Salvador referred to as “el Pulgarcito de América” (the Tom Thumb of The Americas), but I like to think of it as a forgotten back pocket. It goes unused and ignored, until one day when you delve into it and find fifty dollars you never knew you had. 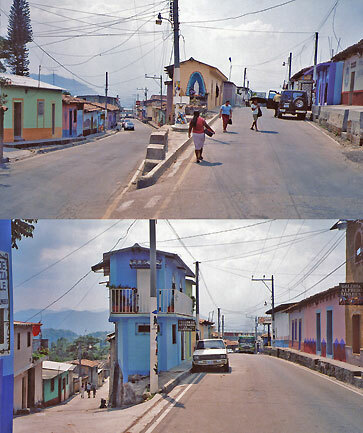 Enrich your tour of Central America by including a loop through Central America’s back pocket. 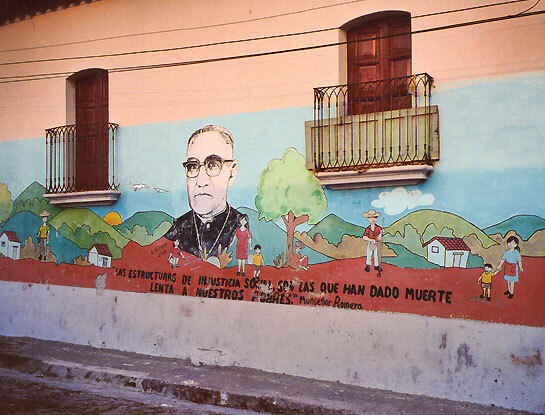 Mural dedicated to Oscar Romero on a wall in Suchitoto. "The structures of social injustice have given slow death to our poor people"
Feature image (top of page): Wading vendors selling to boats in La Union’s port. El Salvador is another country that uses the US dollar as its national currency and your dollar will go a long way here.